Blue and white is always in style! 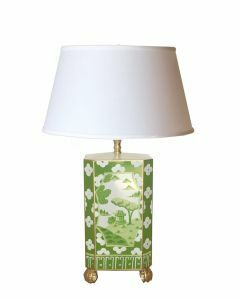 This gorgeous reproduction double happiness vase lamp features a sleek acrylic base and a drum shade with 0.5" trim. 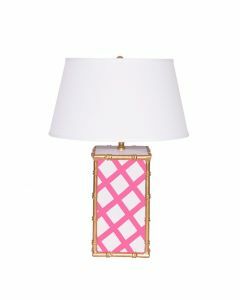 This lamp measures 31” H. For additional shade options, please email customerservice@wellappointedhouse.com. Click on image for greater detail.